With their help and input from the guys, I put a weekend together that I knew we’d never forget. It had been 25 years since I’d seen my military brothers. We served five months together in Kuwait during the Gulf War—five months that led to a lifetime bond. Unfortunately, shortly after returning to the States, we lost touch for many years. All of us married, had kids, started careers outside of the military and moved forward from those days in the desert. But thanks to Facebook, we found each other again. 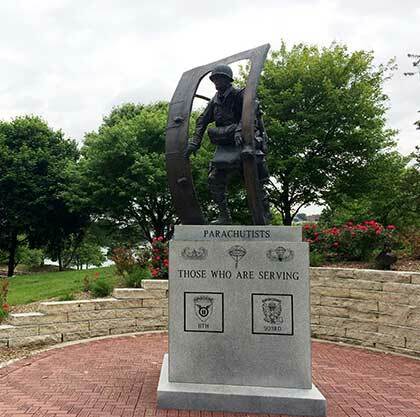 We were quick to catch up and I was quick to suggest a reunion—I live in Omaha, and I knew the guys would love some of the local military sites. 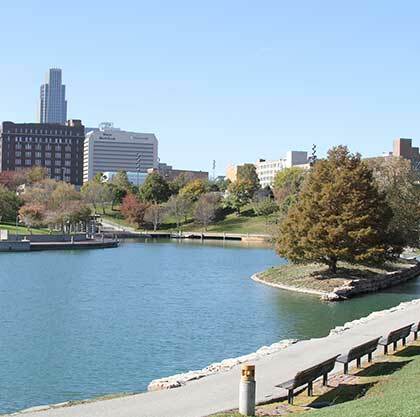 I’m familiar with a few of the standout spots—such as the Strategic Air Command & Aerospace Museum and The Durham Museum—but I needed more options to make it a weekend to remember, so I contacted Visit Omaha, Omaha’s tourism experts, for some tips. I picked up Jim, Luther and Jonas at the airport on Friday morning. It was incredible to see them all in person again—all a little more wrinkled, admittedly a little more out of shape, but with so many of the same mannerisms. I had forgotten how animated Jim was when he talked. With less than two days before they would return to their lives, we got started right away. “You guys ready to have some fun?” I asked as we headed toward my SUV. “What do you have planned for us, Mikey?” asked Jonas. We stopped for lunch and libations at Omaha Tap House. As we ate sandwiches and burgers and the guys enjoyed locally brewed beer selections, we reminisced about our time together in Kuwait more than two decades ago and discussed what had happened in our lives and the world since. 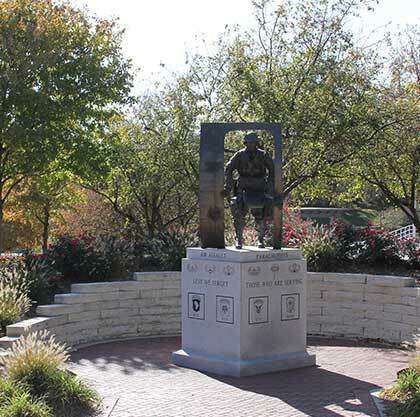 After lunch, we hopped back into the SUV and headed west to Memorial Park—dedicated by President Harry S. Truman in the late 1940s. As we drove up the streets lined with a parade of flags, the car got a little quieter. We got out of the car and wandered around near the grassy roundabout, where a curved white wall with seven rectangular cut-outs stood prominently ahead. Exploring first together, and then separately looking at the words and names on the walls. “It means a lot reading the names of those who served to defend our country and our freedoms, just like we did,” Jonas said. We nodded in solidarity before continuing along with some tidbits courtesy of me (“there’s a huge concert held here every June with big-name acts” and “there are more than 1,000 rose bushes here”). 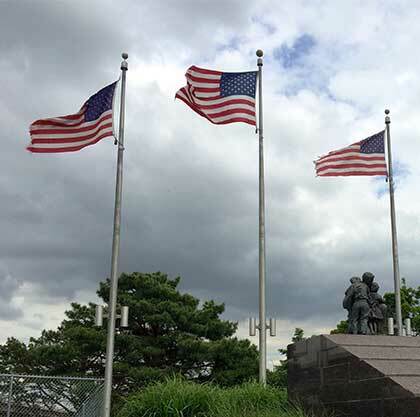 Before we left, we stopped to take a group photo with the flags and memorial in the background, and we headed back downtown for our next two stops—the Heartland Airborne Memorial and Home Front Memorial, both located in the Heartland of America Park. Jim, Luther, Jonas and I strolled around the numerous statues and markers at the park. 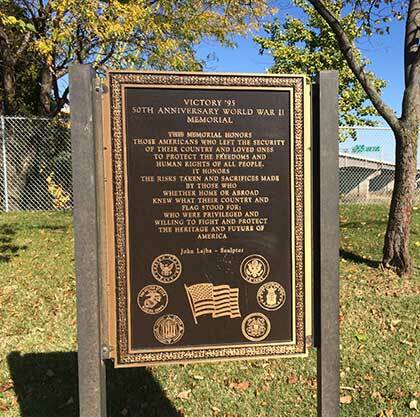 One of the most impactful was the Victory ’95 World War II Memorial, which marks the 50th anniversary of the end of World War II and depicts four scenes reminiscent of those who served in the military and at home, including citizens honoring and saluting three flags. Jim read the dedication marker aloud. See many Statues, each with a unique story. We started early the next day—our only full day together—by driving west to the Strategic Air Command & Aerospace Museum. The Strategic Air Command played a big role in maintaining peace during the Cold War, and the museum is dedicated to telling that fascinating story. I knew the guys would love all of the military-themed exhibits, especially the more than 30 aircraft dating as far back as World War II. Some of these planes are rare, and seeing them in one location would be a real treat. The building is particularly futuristic, with a glass and metal frame and planes hung, seemingly soaring, from the ceiling. Though the museum originally opened in 1959, the current facility is state-of-the-art and was designed to house planes and other historic artifacts. Another big goal here is preserving planes for the future—there’s an entire gallery, the Durham Restoration Gallery, dedicated to restoring aircraft. It takes about two years and 10,000 labor-hours to restore a plane, and it’s a testament to the dedication of the museum staff and volunteers that the process is painstakingly completed time and time again. We roamed through the 300,000-square-foot museum for a couple of hours, mostly on our own, and met back near the entrance before moving on to the next stop. 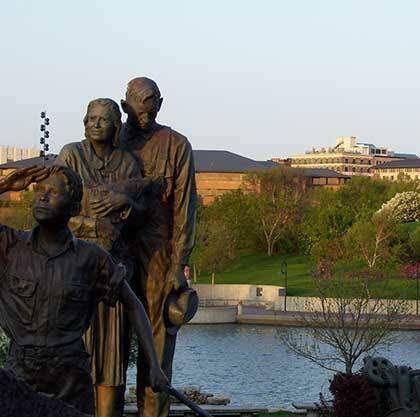 The Durham, Omaha’s restored 1930s Union Pacific Train Station that saw the arrivals and departures of thousands of soldiers during World War II, features life-size sculptures of two WWII soldiers going off to war. Through the magic of in-ground speakers, visitors can hear a conversation between the two men as they ready themselves for departure. Jonas stood next to one of the figures and acted like they were old buddies. “We’re just catching up,” he said, acting as if he was listening intently to the recorded conversation. Fortunately for us, at the time of our visit the museum was hosting The American Soldier, From the Civil War to the War in Iraq: A Photographic Tribute. A temporary exhibit, it featured 116 photographs selected to show how America’s wars have looked on the ground through the eyes of the men and women who fought them—and through the lenses of the photographers who bravely accompanied them into combat. There were even a couple snaps of the Gulf War, which took me by surprise. I called Luther, Jim and Jonas over to look. The past and present collided. In 25 years, so much had changed—both with us and the world. I was grateful that my good friends had remained a constant.